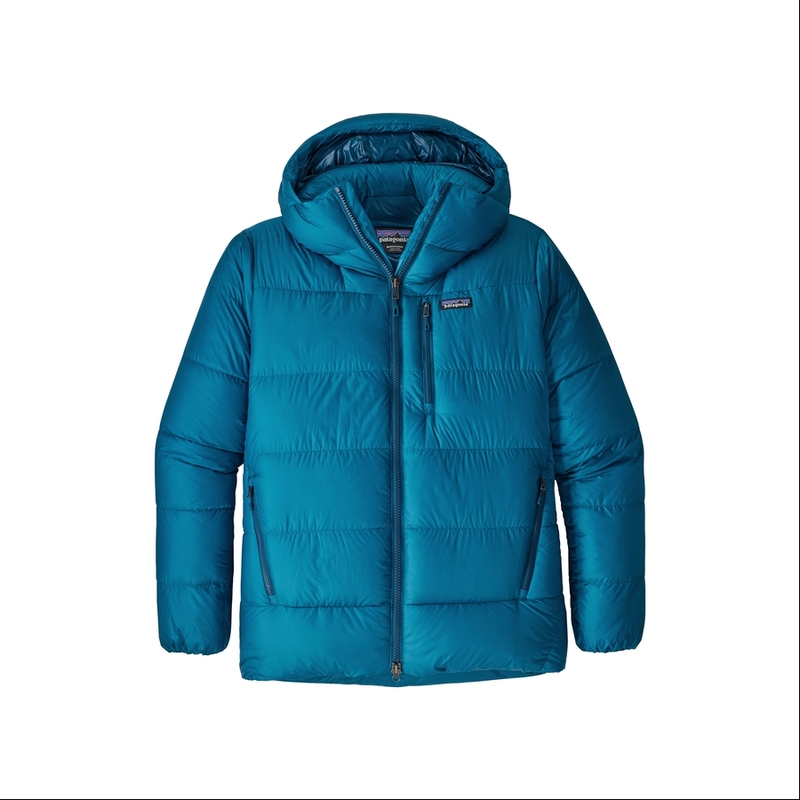 For bone-cold belays and frigid bivies, the updated Fitz Roy Down Parka brings the heat with high loft, improved fully baffled construction and 800-fill-power Traceable Down (European goose down traced from parent farm to apparel factory to help ensure the birds that supply it are not force-fed or live-plucked). At frigid belays, forced bivies and just plain January—all the usual alpinists’ fare—the Fitz Roy Down Parka gives incredible loft and expedition-level warmth. Traceable Down (European goose down traced from parent farm to apparel factory to help ensure the birds that supply it are not force-fed or live-plucked) traps your heat inside a 100% nylon shell with a DWR (durable water repellent) finish that sheds snow and moisture. 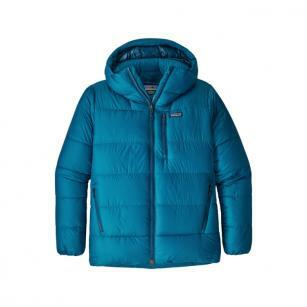 Patagonia have improved the fully baffled construction for greater thermal efficiency. The helmet-compatible, single-pull hood has an internal heat-locking high-loft chamber on the back of the neck, and internal draft tubes eliminate cold spots along the 2-way center-front zipper. Cut long with a full-coverage drop-tail hem (dual-adjust cord locks seals in warmth); three exterior zippered pockets (two high handwarmers and an exterior left chest); and two large, internal, drop-in stretch-mesh pockets for warming frozen gloves. Soft, low-profile, internal elastic-bound cuffs push up easily. Main shell and lining, and reinforcement shell: 1.1-oz 20-denier 100% nylon Pertex Quantum® with a DWR (durable water repellent) finish.